Product Details-Ingredients -15?30% anionic tensides,Less than 5% amphoteric tensides,Aroma,Preservative: 5-bromo-5-nitro-1.3-dioxane. Directions for use-Wet the coat completely with warm water. Apply shampoo gently, work back to the tail. Lather well into coat. Avoid eyes and ears. Rinse thoroughly and towel dry. Use-For healthy and shiny hair coat and soft skin for puppies. Quantity -250ml. Suitable -All Puppy. Product Information-Beaphar Puppy Shampoo is a mild, pH neutral shampoo specially formulated for the sensitive skin of puppies. Macadamia oil has been added to ensure the puppys coat maintains its soft, youthful quality. It is a mild and gentle formulation. 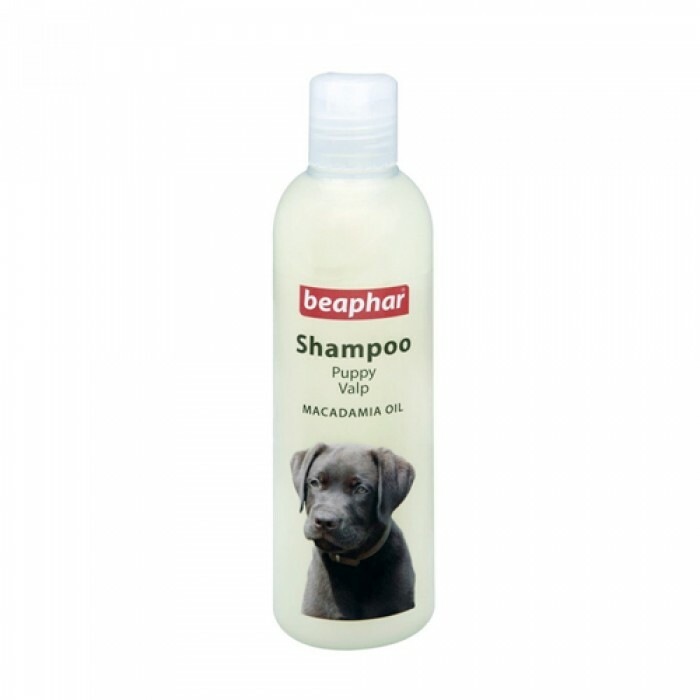 Shampoo Glossy Coat from Beaphar is a specially developed dog shampoo with valuable macadamia nut oil, for gentle coat cleansing for dogs of all breeds Valuable macadamia nut oil will give your dogs coat a beautiful shine and make it easy to comb and dress. Product Benefits-Puppies sensitive skin and coat may dry out and get damaged with adult shampoos. Beaphar presents a selection of most tender elements to form the shampoo for young dogs. Puppies of all dog breeds can benefit from the gentle cleansing formula. A clean and gleaming fur would protect and preserve the innocence and beauty of the puppy skin and coat.